Structure Deck Roar of the Sea Emperor Preview | TCG, shiyo? After many years of waiting Sea Serpents are finally getting their own Structure deck. They’ve long been one of the most ignored and unsupported types (possibly because they’ve had to share the Water Attribute with Fish and Aqua types too). 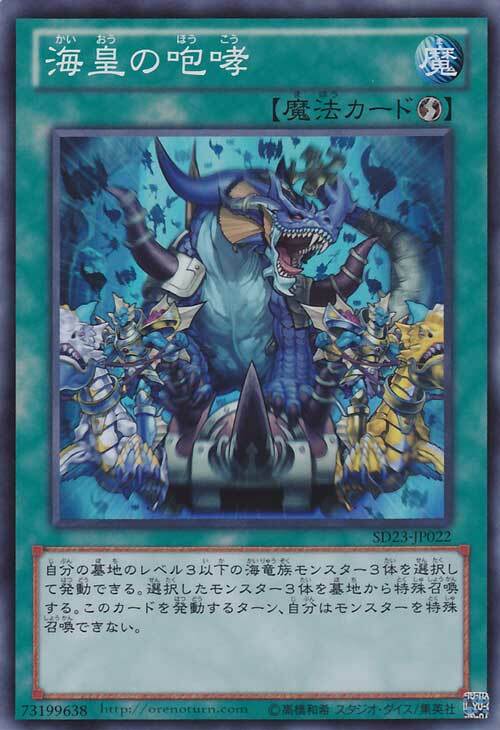 In the Roar of the Sea Emperor deck they get a new boss monster as well as expanding upon the Atlantean theme, which people may not have realised was even a theme prior to this deck. Once you summon Poseidra he clears the field of Spell and Trap card by returing them all to their owners hands. This will usually be used to help clear the way for a big attack, but could also be used to recycle your own spent cards. What’s more if three or more are bounced in this way all of your opponent’s monsters will lose 300 attack times the number of cards bounced. This means that they’ll be losing at least 900 points (assuming you bounced enough cards) and could lose up to 3600, although I doubt you’ll ever bounce 5 Spell and Traps and a field card from both players. You’ll then be able to follow up by hitting your opponent for a lot of damage, without needing to worry about Gorz, since you’ll be hitting over severely weakened monsters instead of directly. All Level 3 or lower Sea Serpent-Type monsters you control can attack your opponent directly. 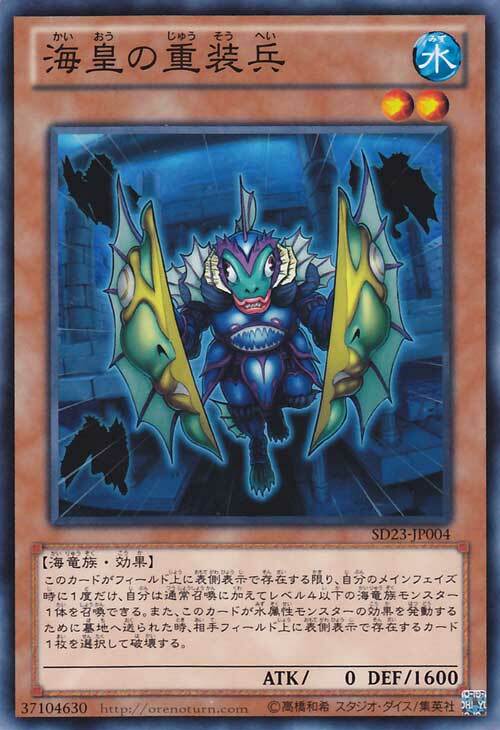 When this card is sent to the Graveyard for the activation of a WATER monster’s effect: Add 1 Sea Serpent-Type monster from your Deck to your hand, except “Atlantean Dragoons”. Atlantean Dragoons is the first of the new Atlanteans, and he allows all of your little Sea Serpents to overcome the fact they don’t have the most powerful stats in the world. Instead of having to beat monsters by battle they can instead bypass them and attack directly. If you can protect them with cards like Aegis of the Ocean Dragon Lord, then they can hit the opponent again on the following turn. It wouldn’t take many hits like this to end the game. However since the Dragoons themselves are Level 4, they won’t gain the ability to direct attack, and they also cannot be protected by Aegis of the Ocean Dragon Lord. This means you’ll have to protect them in some other manner if you intend to keep on attacking directly. Sometimes just the fact they have 1800 attack will be enough, but other times you’ll need additional cards. Alternatively you could use A Legendary Ocean to reduce their Level to 3, allowing them to make use of all the low level Sea Serpent support. Finally they have their version of the new style Atlantean effect. All the new Atlanteans (barring Poseidra of course) have a trigger effect which activates when they’re sent to the Graveyard for activation of a Water monster’s effect. This could be for a discard cost like Abyss Soldier, or the forthcoming Abyss Warrior. Or it could be from the field for a cost, such as that required to summon Poseidra. In the case of the Dragoons you can add a Sea Serpent from your deck to your Hand. This will allow you to pick the Sea Serpent best suited to your situation. It does mean that you’ll sometimes have to think over whether you’ d rather have the direct attacking ability, or a different card from your deck instead. 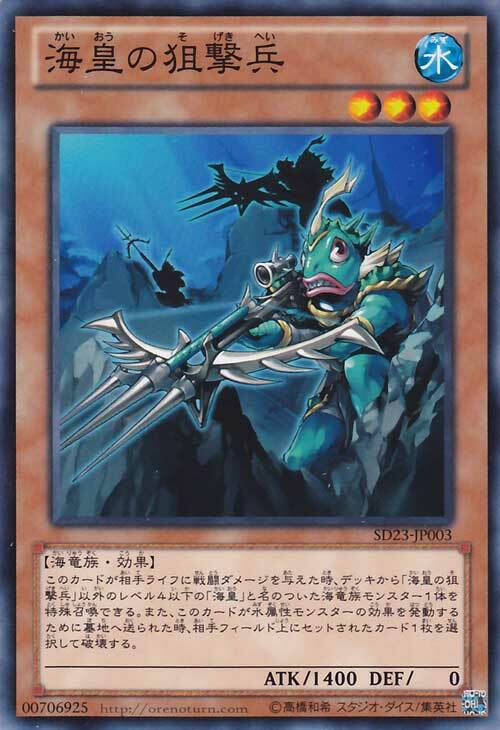 When this card inflicts Battle Damage to your opponent: You can Special Summon 1 Level 4 or lower Sea Serpent-Type “Atlantean” monster, except “Atlantean Marksman”, from your Deck. When this card is sent to the Graveyard for the activation of a WATER monster’s effect: Target 1 Set card your opponent controls; destroy that target. The next of the new Atlanteans is Marksman, who allows you to swarm the field more easily. Every time it inflicts battle damage you can special summon another Level 4 or lower Sea Serpent Atlantean, except for itself. Combined with Dragoons this could quickly become deadly, since you’ll be able to get an additional direct attack from the 2nd monster. 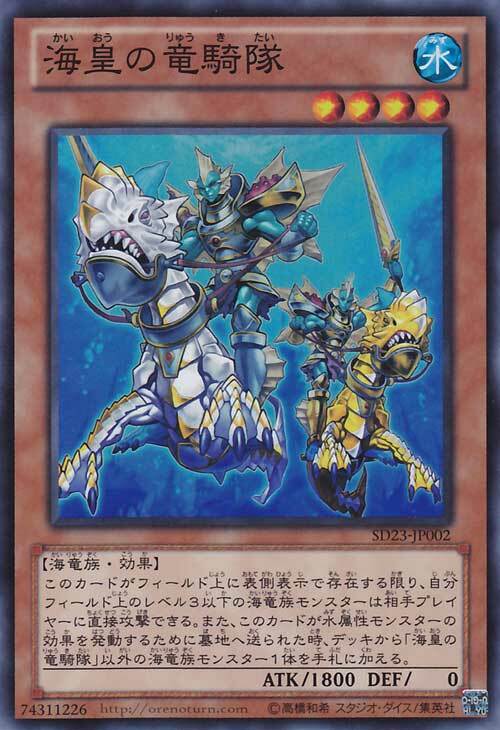 For example Atlantean Attack Squad from Return of the Duelist will hit 2200 attack, able to either take off over a quarter of the opponent’s life points in one blow, or instead take down a powerful monster your other Atlanteans could not deal with. Afterwards you can then use your newly gathered monsters for another purpose. 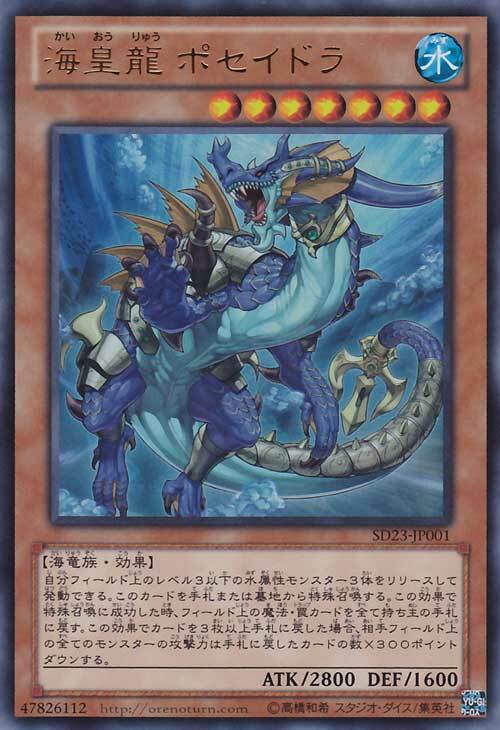 Either you could perform an Xyz summon for a Rank 3, if you got a Level 3 Sea Serpent, or alternatively use them all to summon their big boss, Poseidra. If you did the latter all of your new kind of Atlanteans would then get their effects, allowing you to cause even more problems for the opponent. In the case of Marksman it allows you to destroy a set card, be it a monster or a Spell or Trap card. This will make it even easier for your swarm of Atlanteans to bring the opponent down. While this card is face-up on the field, once per turn during your Main Phase, you can Normal Summon a Level 4 or lower Sea Serpent-Type monster in addition to your Normal Summon or Set. (You can only gain this effect once per turn.) When this card is sent to the Graveyard for the activation of a WATER monster’s effect: Target 1 face-up card your opponent controls; destroy that target. The final of the new Atlantean monsters is their Heavy Infantry, who in keeping with a lot of themes nowadays allows the deck an extra normal summon. This allows for swarming the field and creating powerful monsters. It could be combined with other Level 2 Sea Serpents to make an easy Rank 2, or with tuners like Deep Sea Diva in order to perform synchro summons. You could even use Diva instead to help in summoning Poseidra. Heavy Infantry will help speed the deck towards victory, but you’ll have to be careful to clear Heavy Infantry off the field quickly. With only 0 attack you’ll be taking a lot of damage if you have him stuck in attack position. The new style Atlantean effect for Heavy Infantry is the other side of Marksman’s effect, destroying face up cards instead of face down. This will allow you to kill powerful known threats, or just clear a path for your other Atlanteans, allowing you to cause even more damage. Target 3 Level 3 or lower Sea Serpent-Type monsters in your Graveyard; Special Summon all 3 of them. You cannot Special Summon other monster(s) during the turn you activate this card. The final new Atlantean card is a very powerful quickplay Spell card, which can either set up big plays, or simply just end the game in one swoop. Summoning 3 monsters for a single card is a very powerful effect, since it gives you two extra cards than you started off with. However you’re restricted to only low level Sea Serpents in order to tone the power down slightly. If you simply want to attack you could hit for up to 6600 damage with 3 Atlantean Attack Squads, and of course less if the opponent has some monsters in the way, or you have to settle for different monsters. If instead you plan on making powerful monsters you simply have to be sensible about when you play Call of the Atlanteans. If you wait until the end of your opponent’s turn you can bypass the Special summoning restriction and turn all those small monsters into something more powerful almost immediately. The obvious choice is to summon Poseidra, since you’ll have the 3 monsters required for him, but you could also make Synchros thanks to Deep Sea Diva, or a wide range of power Rank 2 or 3 monsters instead. If you’re in real trouble you could even use it as a last ditch defense card to save you from defeat. I think these new cards will finally allow for Sea Serpents to see some real play, but we’ll probably need to wait for the Mermails and Abyss monsters from Abyss Rising before they can reach their full power. Of all of these Call of the Atlanteans will probably be the most widely used, since it can be fit into a range of Water decks.